>Before you read this post, I want it to be clear, I did not write this. I’ve written articles about counterfeit items before on this blog, but this article came from “Shine” from Yahoo, and I found it quite interesting. Luxury items from big-name brands are ultra-popular holiday gifts, but with so many impostors out there, it’s extra important to be sure you’re buying the real thing. Shopping online places greater distance between you and your purchase (which allows serious room for scams), but these days it’s even tricky to spot a counterfeit item in person. The online consumer site SiteJabber has put together a list of the top 10 counterfeit items and brands for the holiday season. If you’re looking to buy any of the goods listed below, you’ll want to be extra careful about where you buy the item and examine it closely or check the store’s return policy before you commit. Seams and stitching. 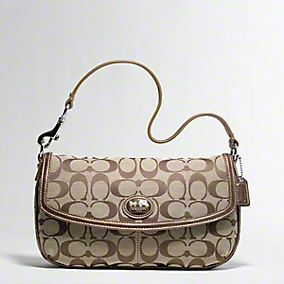 Most designer bags are made carefully so all-over prints continue evenly around the sides. If you see something that doesn’t match up properly or stitching that looks uneven or crooked, it’s probably not legit. Lining. Knock-offs often skimp on the interior materials to cut costs, so the real bag may be lined with suede, whereas the fake one will use cheap synthetic fabric. Soles. If you’re buying footwear be sure all identifying marks (ie, the designer’s name and logo) match up on the bottom. Details. Make sure zippers are working, threads are the right, matching color. Many brands include authenticity cards and instruction booklets with their merchandise—you can check with the company directly to find out if your purchase should have these. Expiration dates. Discounted designer perfumes could be authentic, but so old that they’ve actually gone bad years ago. Packaging. Is the item you’re buying supposed to come with a dust bag or logo shoe box? If it’s not included with your purchase something is wrong. And remember: just because something is sealed in plastic does not mean it’s real. People have been known to fill perfume bottles with household cleaners—or even urine—and shrink-wrap them. The majority of UGG boots sold on eBay are fake. Be extra careful when purchasing online. Photo courtesy of UGG Australia. To avoid complications, you should try and shop from the real, licensed store whenever possible, or a reputable website. Never buy luxury items on the street or from a random site online. Search engines cannot screen for sites carrying knock-offs and the pictures you see may vary from the actual item you receive. Do some research ahead of time to know exactly what your item should look like. If a vendor only accepts cash, this is also a red flag. Keep receipts and use a credit card so you have a record of your transaction. If along your shopping journey you do feel tempted to buy a fake item, perhaps for a good deal, don’t. Counterfeits are illegal, and they are typically made under poor and unfair work conditions. They lessen the value of the brands you’re essentially trying to support and negatively impact the overall global economy—the counterfeit industry removes tens of thousands of jobs and costs an estimated $600 billion of legitimate revenue a year. Not to mention you’ll be missing out on the thrill of owning the real thing and have no warranty. So when out trying to buy the real thing this holiday season, stick to authorized retailers and examine everything before you buy it. If an item looks suspicious in any way, walk away. If it looks too good to be true, it probably is! And as a final thought of mine, I wanted to shared something I shared on my beauty blog that many people are obviously unaware of. Purses and shoes are not the only things that can be “fakes”. People are getting good at making fake MAC cosmetics and other high end makeup lines. Please be aware of this before buying products on ebay. Something that may appear real, is not always the real thing. I advise not buying anything from ebay that you’re not sure is 100% real. Most of you know that last year I bought a handbag for 1000$ on Ebay, (Gucci) came with a guarenteed authenticity card, and the seller called me on the phone to advise me it was real. Well a week later it broke, and I found out it was fake. Please be aware of all of these things while your Christmas shopping this year.